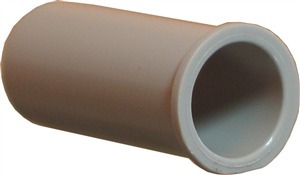 3/8 inch internal diameter. More rigid than unbraided pipe. The braiding helps to hold the tube fully open and stop kinks. Good for permanent placements and anything requiring a tougher hose. Fits onto 3/8 inch barbed hose stems.